The European Union’s Payment Service Directive 2, sometimes known as Open Banking, came in to effect in January 2018. Many commentators predicted an unprecedented transformation in banking and payments as the sharing and aggregation of data opened up new opportunities for existing and new players in the retail finance arena. In the UK, after a decade of overseas and new financial service providers entering the market, it seemed almost inevitable that someone would blaze an Open Banking trail that would generate a hotbed of innovation, change and market competition. We heard that opportunities would exist for new providers who would ‘own’ the interface with the customer, able to create an amazing customer experience through multiple channels while offering customers access to all of the products on the market. We heard that there would be more aggregators able to proactively find customers the best deals in the market and the enable switching between products and providers to happen quickly, and without frictions. And we were told that customers would be able to transfer money quickly between accounts from different providers in real-time, just like they were doing it within the walls of one institution. But nearly one year after the flag dropped on Open Banking, it’s actually been a bit of a damp squib. Some might even say a flop. So, has Open Banking failed? Was it just misguided market dabbling by legislators or an over-inflated piece of innovation developed by industry-insiders? Or is it still too soon to make a call? Why has Open Banking failed to live up to the hype? 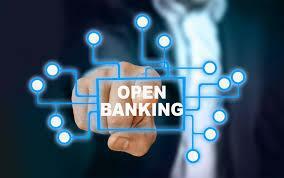 European banks and industry commentators have been scurrying around trying to figure out why Open Banking has failed to cause the transformation that was anticipated. And it seems that the root cause lies in one of the oldest truths about the sector: banking and finance is boring to most consumers. That’s often a tough pill for those of us whose life revolves around this sector, but most people still don’t get overly excited about their personal financial management. Add in that, again according to the same UK YouGov poll, most people are pretty happy with their financial service providers, and the age-old stickiness means that this just doesn’t hit the top of the charts of people’s unmet needs in life. Some commentators suggest that the problem is more that no one has yet produced the ‘killer App’ and that Open Banking remains in the ‘early adopter’ foothills of the hype curve. A bit like the internet in the late 1990’s, the potential is there, but no one has really learnt how to unlock it. One underlying issue that seems to be in play is that while customers are not so unhappy with their financial service providers that they would actually doing anything radical like moving their holdings, there is a general mistrust with banks, building societies and anyone who ‘looks after’ our money. While we trust financial institutions to keep our money safe, we don’t trust them to do the right thing – and the findings of the current Australian Royal Commission are making customers even more concerned whether they should trust anyone in this sector. So when people start talking about Open Banking and its benefits, the conversation can run into a ‘trust’ road block as soon as the concept is shared of banks and other providers sharing customer data. YouGov’s survey noted that over three quarters of respondents had concerns about their main provider sharing their data with other financial institutions. So if Open Banking is to take off, more needs to be done to quell fears from customers about data security and banks and other providers need to really demonstrate true value and benefits for those of us who are prepared to share our data in this way whilst providing some certainty around data privacy and security. So what does this mean for New Zealand? For New Zealand’s financial service providers, it’s hard to know what to do. Regulators have seemed unlikely to enforce Open Banking style requirements for quite some time and the lack of take up in overseas markets might reinforce this stance. So should providers wait and do nothing? But Open Banking is not really a regulatory issue. It’s about the customer experience, and that is something that no provider can afford to ignore. The reality is that even if Open Banking does not manifest itself in its current incarnation, the current rather static nature of retail financial services in bound to change. The question is what do financial institutions need to do now to make sure that they can be ready for any change. At the heart of Open Banking is the ability to both share the data that you have and to utilise and ‘mash up’ data from other financial service providers. Traditional core systems weren’t designed for this sort of real-time dynamic interaction, so providers will need to make sure that their systems and architecture are ready and able to support these interactions. Security and privacy become more important than ever, so having the right technology backbone and infrastructure to be able to support such an environment will become table-stakes for providers in the near future. And even if it isn’t Open Banking that drives this move, we can already see how financial services providers are evolving to be platform providers, where they integrate the services of related third-parties into their offerings, e.g. mortgage providers who can also offer integrated services with estate agents, solicitors, moving firms, etc. Being a platform provider requires the same sort of data interoperability and integration that is needed by Open Banking. Developing a capability regarding APIs and their benefit to integrating with third-parties access must be on the agenda for all financial service providers. While more people than ever before have access to banking services, there remains a significant proportion of the population that struggles to gain access to cost-effective borrowing, both as personal customers and as SMEs. The data available to support credit-decisioning is often limited and can require potential customers to provide paperwork they don’t have or to inaccurately describe their typical spending patterns and other obligations. Most financial institutions price and process their lending to reflect the poor quality of this data meaning that customers at the margins are left to borrow on credit cards or via payday lenders. In China, companies like WeBank and Baidu have started to leverage other sources of personal data to help come to more informed (and faster) credit decisions than the banks can achieve. By leveraging other data sources, including web activity, and using artificial intelligence, they can not only make better credit decisions, they can also identify risk of default much more proactively than traditional banks. To be able to offer a broader set of services, including the platform offerings described before, and better decision making capability, financial service providers need to start to identify and secure partners with whom to share data. Data privacy concerns are growing all of the time and seem to have been one of the barriers to Open Banking. There is no doubt that all financial institutions are going to have more and more customer data over time and it is critical that customers trust that it is safe and only used for their benefit. One major step towards trust for providers is to make sure that they only collect the data that is absolutely necessary for an activity, rather than treating every customer interaction as an opportunity to ‘harvest’ more information. And the key to this is to stop asking for the same data again and again. Providers need to be able to re-use existing data more effectively in order to rebuild trust with their customers. While the Open Banking might not yet have changed the world of financial services, we believe that the changes that it encompassed are inevitable. Customers will want and get a single view in one place of all of their holdings no matter which providers they use. And moving between products and services will be friction-free and easier than ever, even between providers. And some providers will become platforms, integrating financial offerings with other third-party services. In order to play this game, financial service providers need to get started now on making their infrastructure, partnering and data security fit for purpose. The calm before the storm is now – so providers need to get prepared. So what happens if I don’t want to be part of that game? Well, that is an option. But the opportunity is huge for smaller players. While your name might not be unknown to many consumers today, as soon as there is aggregation of all services on one platform, your name will be as visible as any of the big four banks. Look at how moneysupermarket.com has transformed the visibility of tier two and three financial services providers in the UK. Open Banking might look like a difficult (and expensive) game to play, but it could be the gateway to the market that many smaller financial service providers have been looking for in so long. *James Dowle is a Director for KPMG and leads Fintech for the firm. James has spent much of the past twenty years designing and implementing technology solutions for banks around the world. He also has considerable experience of working with credit unions and other non-bank deposit takers in New Zealand. This article originally appeared in KPMG's FIPS Non-Banks: Review 2018  and is reproduced here with permission.